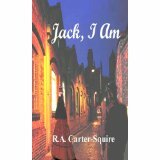 I like to write what I like to read...thriller/mystery/horror. I've read most authors in these genres, from Doyle to Grisham, from Poe to King and everyone in between. The story is what compels me to read and continue reading. That's my plan when I write and I continue to develop my abilities to give you the reader, the best possible story to entertain you. The woods around Carter Nebraska have been silent and asleep for hundreds of years but now they're awake and hungry. 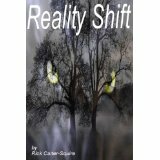 Ray Jacobs is pitted against the evil that has awakened. He has help in the form of the town doctor, his girlfriend and the local Sheriff but their foe is a shape shifter, cunning and ruthless. There will be no prisoners as they battle for their own survival and perhaps the fate of the entire country. Ray was spared once long ago but there will be no pity this time. John began life in the usual fashion, but in the squalid surroundings of Victorian London his life was neither easy or pleasant. Educated by a priest, abandoned by his father, mentally and physically abused by his prostitute mother, – he seeks refuge at sea. John returns to Whitechapel a grown man, his cruel mother is dead. Years of brutality have been lifted from his broad shoulders until he begins to see only the dark and seamy side of his surroundings. A woman enters his life who seems different, clean...one bright spot in his gloomy existence. For different reasons, they plunge into marriage with catastrophic results. Shattered, John concocts a deadly plan filled with revenge, remorse and the memory of his mother.